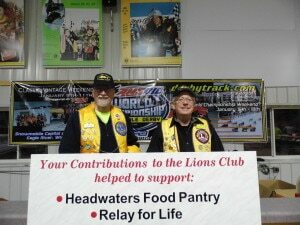 The Phelps – Land O’Lakes branch of the International Lions Club was first started in 1981. We have roughly 20 members from the headwaters area (which includes Phelps, Land O’Lakes and Upper Michigan). Meetings are held monthly (on the 3rd Thursday of the month) at varying locations and each includes dinner and a guest presentation. Our three major Community Fundraising projects allow us to collect approximately $12,000 per year that is then donated to a variety of local and worldwide charities. Are dedicated to serving and supporting our communities. Want you to Become a Lion! 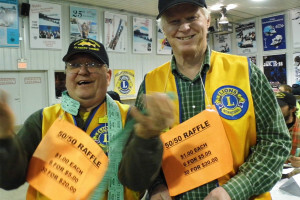 Lions Club International – 46,000 Clubs Worldwide! The Lions Club International was founded in 1917 by Melvin Jones, who gave up his work in the insurance industry to dedicate his time fully to the Club after it’s creation. The first meeting was held in Chicago, Illinois in June of 1917. The Lions went international just three short years later in 1920, when the first Canadian club was organized. Since then, there are more than 1.4 million Lions in over 210 countries around the world. People who are interested in joining the Lions way of life have the chance to join one of over 46,000 clubs or can seek guidance on forming a new charter. This is a question best answered by a Lion!